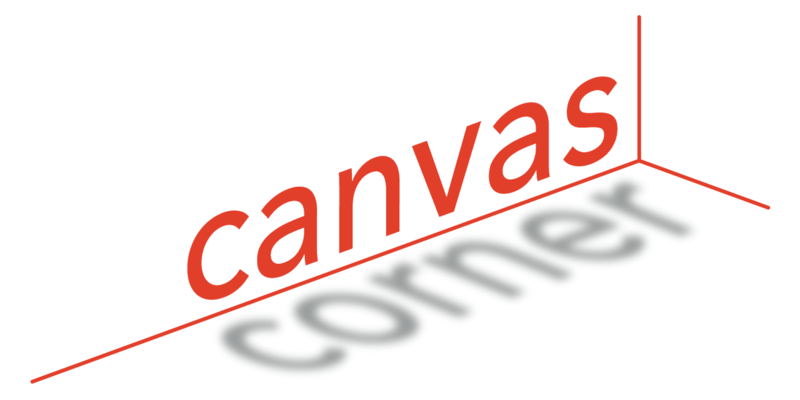 Every month in Canvas Corner, we discuss the new features and enhancements available in Canvas. This month, we cover updates to Rubrics, SpeedGrader, and Accessibility. 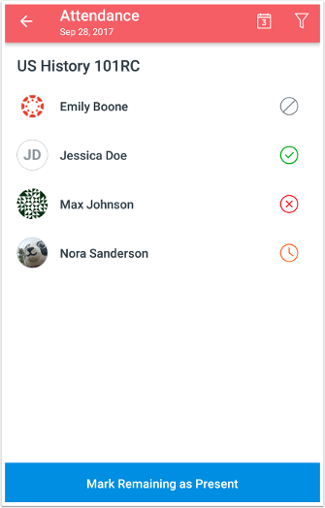 Plus, there have been several updates to Canvas on mobile, including comments, contacts, and context cards. Rubric criterions can include a point range instead of just an individual point value. When the Range checkbox is allowed and selected, each rating displays a maximum and minimum point value. Ranges are managed the same way as non-range rubrics. Ratings can be divided, edited, and removed individually, and total point value changes automatically adjust for all rating values. 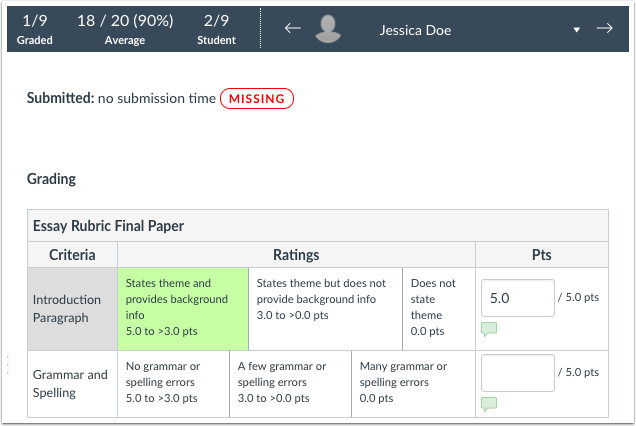 When a rubric is added to an assignment, range options are not displayed if the free-form comment option is selected. In SpeedGrader, rubric values can be selected by the entire range. Students can also view the ranges in the assignment details page and when viewing the rubric on the Grades page. The first value in the range is assigned for the point value. If the instructor wants a point value within the range, it will have to be typed into the Pts box manually. 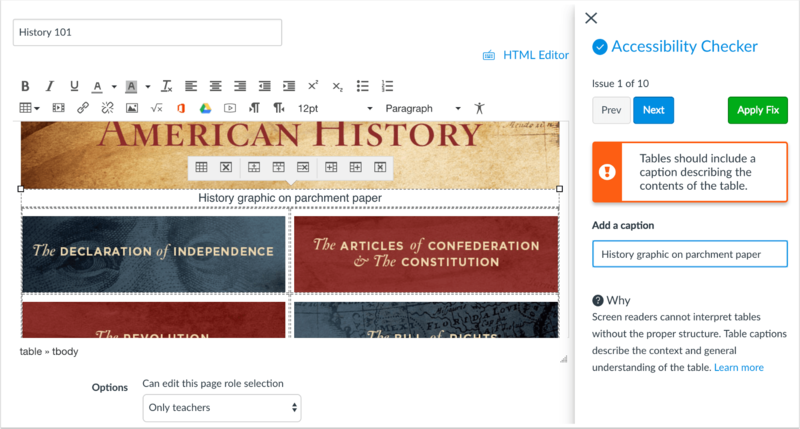 The Rich Content Editor Accessibility Checker assists instructors and course designers in maintaining accessibility requirements in Canvas content. This tool only verifies content created within the Rich Content Editor. Image alt filename: Image filenames should not be used as the alt attribute describing the image content. Currently, files uploaded directly to Canvas create a redirect that does not correctly verify image filenames, which will be corrected in an upcoming release. Image alt length: Alt attribute text should not contain more than 120 characters. In a future release, alt text can be included when uploading an image to help minimize this error. Please Note: For text contrast, the Accessibility Checker verifies color using the same calculations as the WebAIM tool. When a user clicks the Settings menu for an assignment and selects the Move-To option, the sidebar menu first asks the user to select the new assignment group, then select the placement of the assignment. The selected menu change is applied immediately on the Assignments page. When any user clicks the Settings menu for a pinned discussion and selects the Move-To option, the sidebar menu first asks the user to select the placement of the pinned discussion. If the Before or After an option is selected, the user can select the order of the discussion compared to other pinned discussions. The selected menu change is applied immediately on the Discussions page. 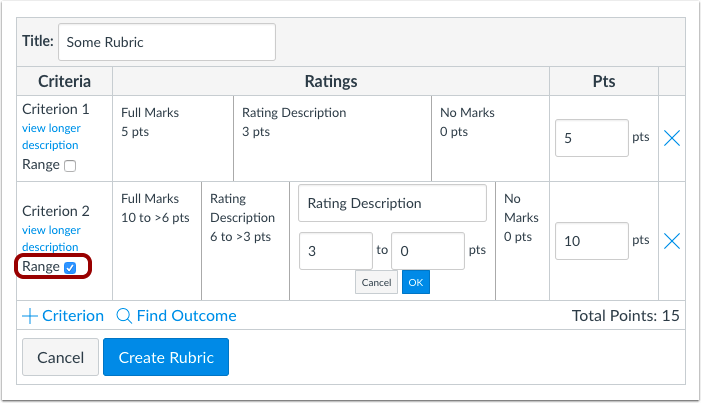 Please Note: Description ratings only apply to rubric ratings; they are not currently available in outcome ratings. Outcomes added to a rubric only display the rating title and point value. Assignments support audio and video comments on assignment submissions. 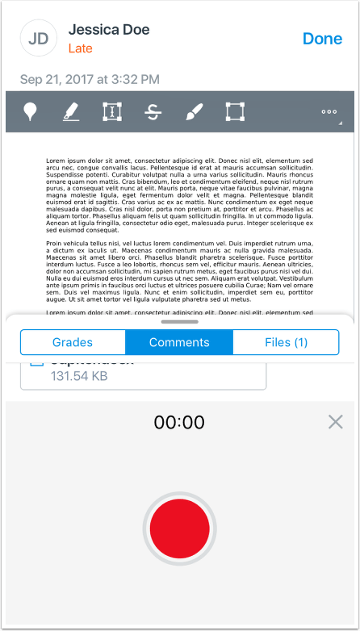 Teachers can record audio or video comments by tapping the Add button in the Comment field. Audio comments provide teachers with a convenient option to leave feedback on student assignment submissions. Video comments allow teachers to leave verbal and visual feedback on student assignment submissions. Video comments can have a maximum duration of 60 seconds. 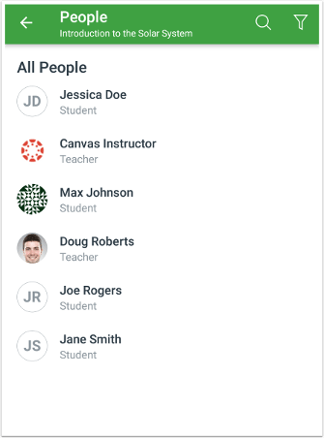 The Teacher App now supports the People page for courses. The People page allows teachers to quickly view information about users in their course. 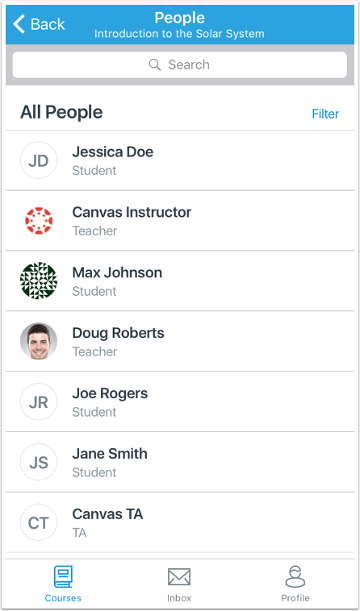 Teachers can view all users in a course and filter the list by user role. The Teacher app supports context cards for students in a course. 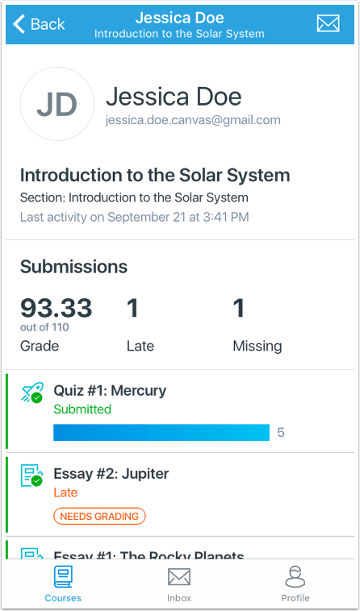 Context cards provide teachers with a simplified overview of student information and can be viewed by tapping a student’s name from People, assignment submissions list, SpeedGrader, SpeedGrader comments, inbox messages, announcement replies, and discussion replies. 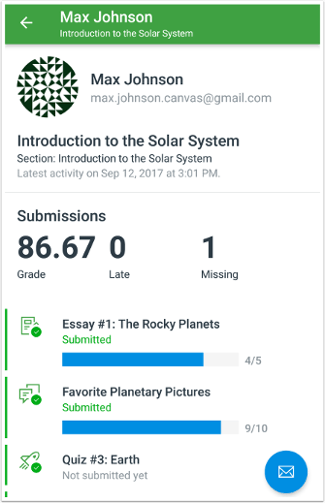 Student context cards display a student’s email address, section, last activity date/time, submission details, grade, and submission details. Teachers can send a message to a student from their context card. 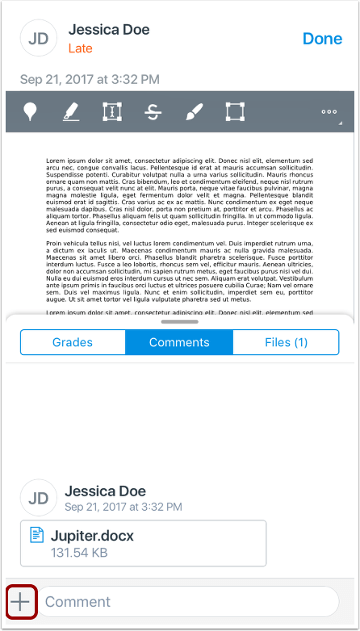 When the context card is opened from the People page, teachers can also open student submissions by tapping the submission. Teachers can add an attachment by tapping the Attachment icon when creating a new announcement. 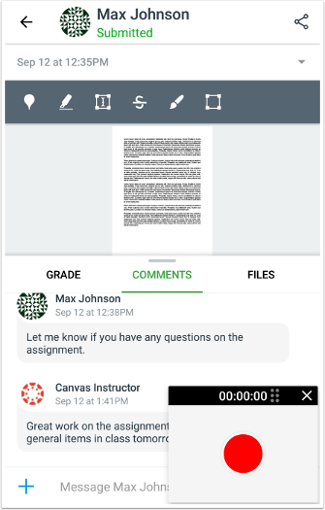 Attachments cannot be added to replies to announcements from the Canvas Teacher app. Conversations supports attachments for all messages. Teachers can add an attachment by tapping the Attachment icon when creating a new message. Attachments cannot be added to replies to messages from the Canvas Teacher app. Teachers can add an attachment to a Discussion post. Teachers can add an attachment by tapping the Attachment icon when creating a new discussion. 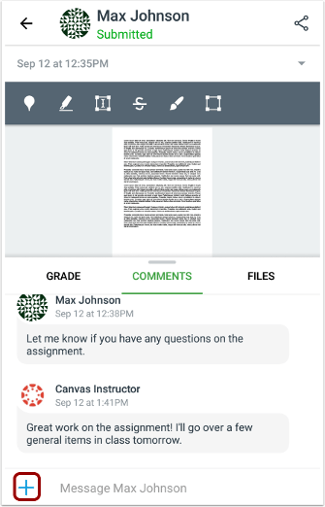 Attachments cannot be added to replies to discussion posts from the Canvas Teacher app. The Teacher App supports Attendance for courses. Attendance allows instructors to take attendance in their class using their mobile device. Students can be marked as present, late, or absent. Instructors can filter assignment submissions by section. 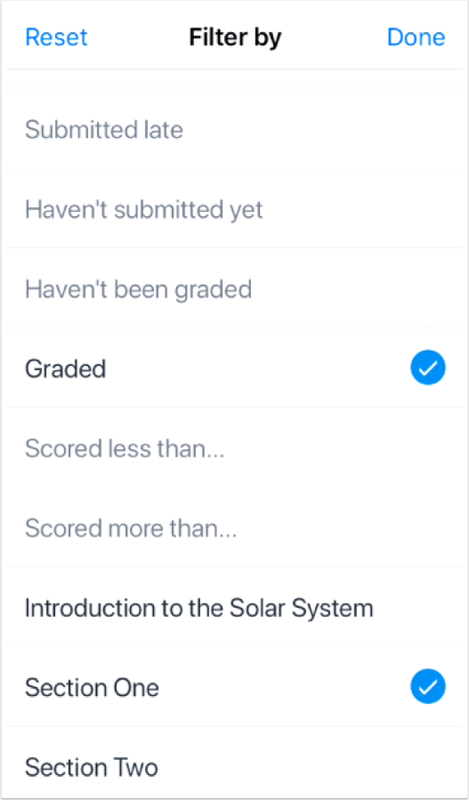 Section filters can be combined with other filters for submission status, grading status, or score.